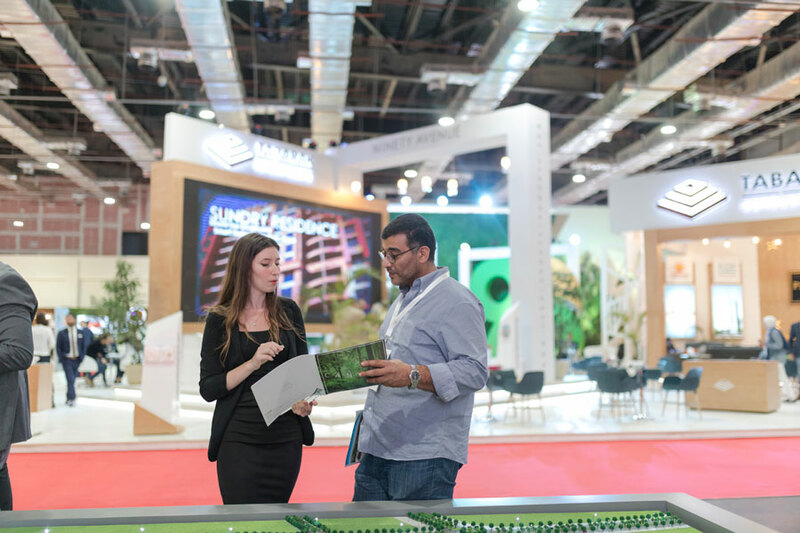 With only two-days left before the 7th edition of Cityscape Egypt closes its doors – developers are enticing visitors with special promotions on a multitude of properties. 29th March, 2018, Cairo, Egypt: Apartments in the heart of Cairo, coastal homes from Egypt’s picturesque coast, and surburban community complexes, are just some of the residential projects featured at this year’s Cityscape Egypt. The show, which opened yesterday at the Egypt International Exhibition Centre (EIEC) and runs until March 31st, saw hundreds of Egyptians enter to catch a glimpse of major unveilings and capitalise on attractive payment offers in the country’s residential sector. With over 70 exhibitors from across the property spectrum, developers are highlighting projects that will change the real estate landscape in the country – especially as Egypt’s looks to fulfil its housing goals as part of its Vision 2030 strategy. “Over the last two-days, we have witnessed how real estate continues to be a mainstay for Egypt’s population as visitors have responded positively to exhibitors new and existing mega-projects,” said Chris Speller, Exhibition Director at Cityscape Egypt. “2018 is the year of investment and expansion for us,” he said. “We have announced the launch of the latest phase of our project, the units of Hyde Park Business District New Cairo, which has a total investment value of EGP 6 Billion,” said Serag. The company have been touting Coast 82, a residential tourism project on the North Coast. “Egyptians are looking for investing in quality residential real estate with high returns, especially following the last few months. In addition, this year we have major plans for the sector including investing in several sport and recreational projects. We recently signed a contract with the English football team, Arsenal FC, which will be the official partner of the club in Egypt,” he said. Hyde Park are offering a 10% advance payment and an 8-year instalment period. An exclusive offer is also available for Coast 82. Exhibitor SODIC will be offering a 7-year payment plan on their project October Plaza and a 10% down payment, with delivery starting in 2020. Hussein Shoukry, SODIC’s Senior Development Manager said the company is also showing their Forty West project. “The project is a mixed-use complex situated at the centre of SODIC West. When completed, the it will include upward of 80,000 square-meters (sqm) of retail, commercial, entertainment, leisure, and residential segments, organised around a series of courtyards and plazas. Throughout the complex is an intricate network of gardens, pedestrian paths and vehicular roadways that open into a large public piazza, which will anchor the southeast corner of the project,” he said. Exhibitor, Tabarak Developments are showcasing its 90 Avenue project – with phase one expected to be completed this year – in New Cairo. In addition, the developer will also reveal its Capital East Residence in Nasr City, which is on offer at the show. Talaat Moustafa Group is showing Madinaty, a residential community in New Cairo; Al Rehab City, a 10 million sqm integrated residential community in New Cairo; Four Seasons Sharm El Sheikh; and New Capital Project in New Capital, a residential, commercial, office and entertainment community. “This project covers an area of 500 acres and includes a variety of residential models to meet different needs. The development includes a comprehensive range of services to residents in what embodies TMG’s commitment to providing modern, high-quality housing in serviced and attractive urban communities,” said the developer. This year’s platinum sponsor, PROJECTS, are showcasing its Blues Tiffany development, in Ras El-Hekma on Egypt’s North Coast. The project is spread over 250 acres and the developer is offering a 10% discount and is also revealing flexible payment structures at the show.